I've got a new exhaust to fit 997.1 turbo. Can you help me put a list of fasteners / studs / sizes and qty's for all the things I' should be looking to change when removing and re-fitting please? Are the gaskets reuseable at the Cat ? Alastair, have you stuck your head under the back and had a look at the turbo studs yet I have been putting this off for a couple of years as there is nothing left of the heads on the studs at the turbo`s which is par for the course not a job for the faint hearted nick (Easternjets) did a good write up when he did his. are you doing the manifolds as well ? Definitely have a look at what you've got in front of you in terms of rusty hardware. If they are too far gone, you may need a number of tools to get the rusty bolts out. And usual mechanical tools/jack/jack stands for doing it all up again. What should have been a 3hr job took a day and a half. I had all the tools excluding the Dremel, so factor in the time and tools required to complete the job vs an indie. I'm not familiar with the turbo cat, but if it has the 3 bolt pattern, the top one is a P.I.A to get to and requires dedication to get it off. Thanks for the info. 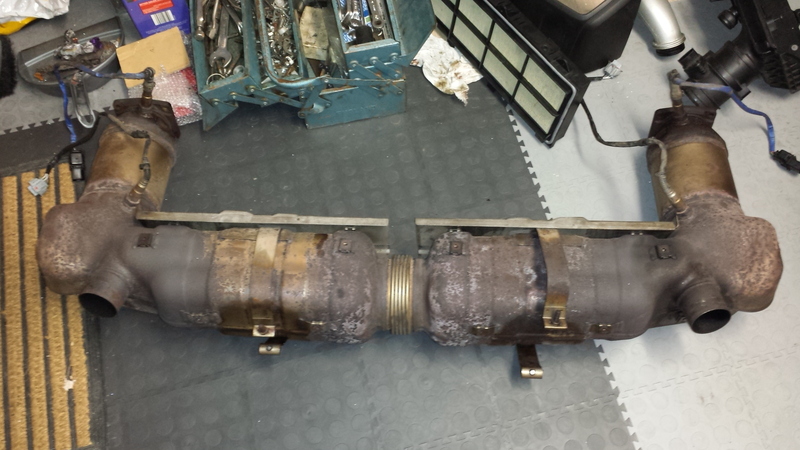 I'll have a look at the guide referred to above and have a poke around underneath, have a feeling the cats where off recently to swap turbo actuators. Tool above in stock, 2 day window might not be ! Hi I did mine a few years ago. Firstly you don't need to remove the exhaust to do the actuators (I believe). The gen 1 system is all in one piece, there are two straps at the centre rear that hold the silencer to the chassis, they will more than likely be rusted solid and will snap when you try to free them. The biggest PIA is the studs and nuts onto the back of the turbo's, they will be totally shot. You will need either special tools or I used a pair of small mole grips and an old chisel to split the nuts. The studs will actually hold up pretty well it's the nuts that take hours to get off. There's also the two Lambda sensors, the wiring runs up to just inside the engine bay and they unclip and allow you to remove the entire exhaust in one piece. I did mine in my garage/drive jacked up with axle stands and I think it took me most of the day to get the 8 nuts off. That's all that holds the exhaust on 8 nuts and 2 straps. I also did the manifolds as one of mine had a blow at the joint. Another thing to consider is plugs and coil packs as well as this will save you about £600 in labour if you get a dealer to do it. I put a Kline on mine and all the fittings were good, mine a 2009 though but you would think they would be cheese by now. How old is your turbo Alastair? 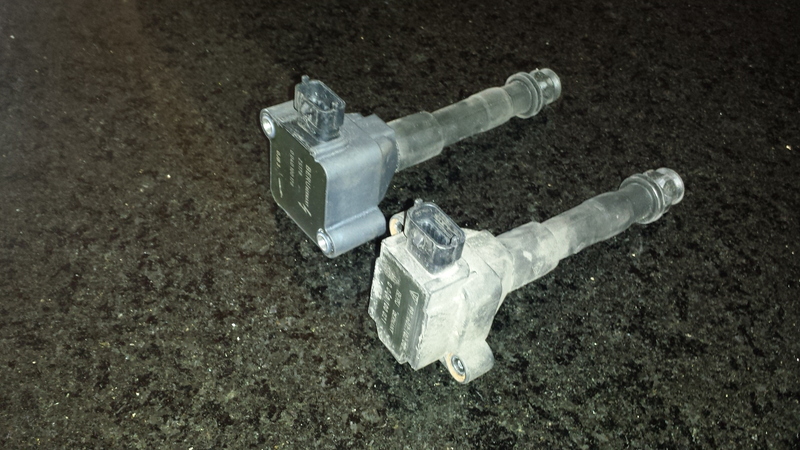 Also mileage might give us an idea of how rusted out the fittings are. Please post up some pics of progress. I intend to change mine in the future and had a good route around recently just cleaning up the inter-coolers etc. Mine on 47k and I was nicely surprised on how rust free the nuts fittings were. Removing them may be a different story though!! I swapped mine for a Capristo a few years back & it was a bit of a pain. 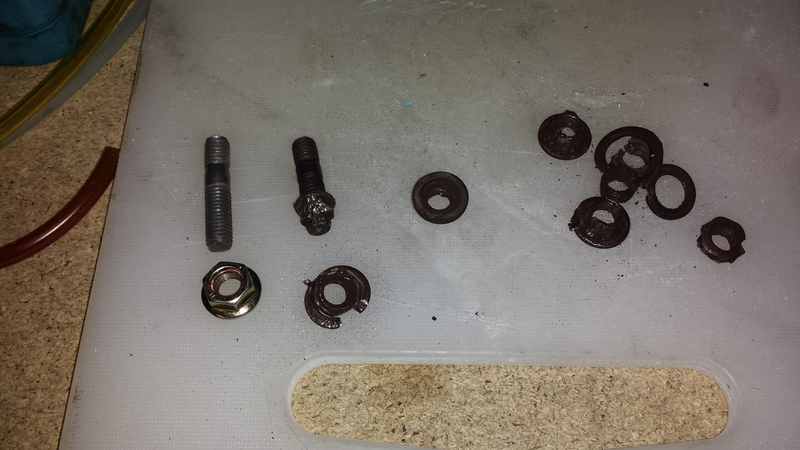 The nuts were as previously mentioned, corroded down to rusty brown blobs. I used a combination of dremmel with mini cutting disks, needle nosed vice grips, small chisel, a nut splitter & a tiny pipe wrench. 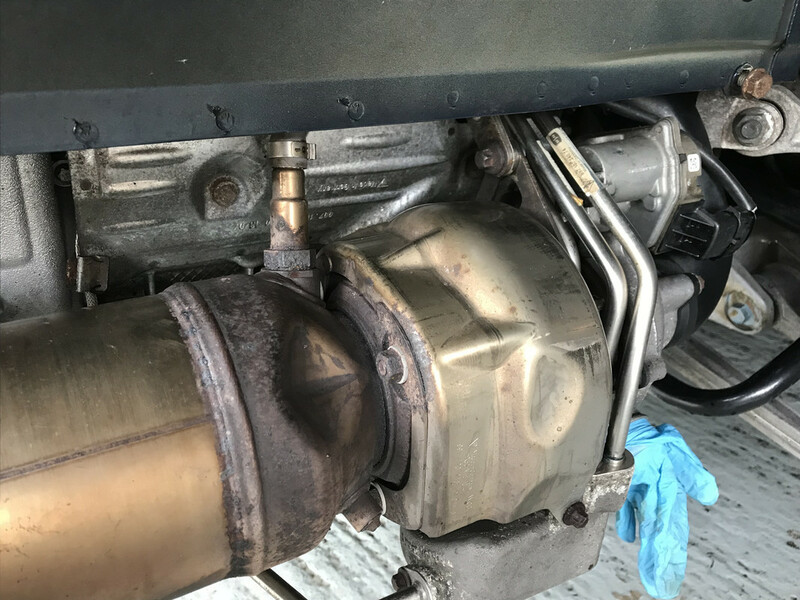 When i put the new exhaust on, i used brass nuts to avoid corrosion in future. The original studs appear to be either stainless or titanium as they were fine. I wouldn't use stainless nuts as they will gall up if the studs are stainless too & you'll never get them off again.